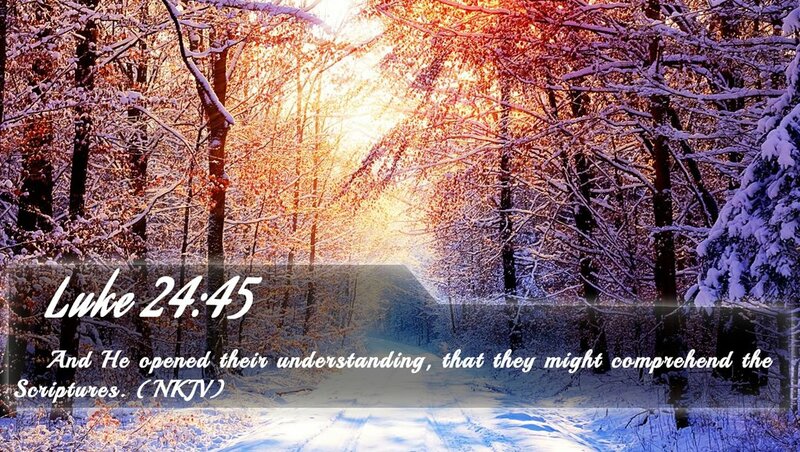 Then he opened their understanding, that they might understand the scriptures. The first three classes of my (original) RCIA group, meeting in Columbus, GA, were spent addressing the Church's teaching on the Bible. Since we were in the Bible Belt, talking about how Catholics talk about the Bible is crucial. We don't think the thing fell down from heaven, highlighted passages in red and yellow, ready to go. And nearly every discussion in that class, no matter what the question was, usually ended up with the asker saying something like "But the Bible says..." and Fr Brian would have to bring them gently back to "but the Church says..." sometimes over a couple of discussions. So today's passage from St Luke - wherein Jesus has to enlighten the Apostles so that they understand the scriptures - might be especially troublesome to such a one, or to anyone who thinks they can divine the sense of Scripture just by reading it. There are other such passages after the Resurrection, such as yesterday's reading when Jesus was at Emmaus. St Paul and Jesus rarely say anything in the first person singular. It is to the whole Church, to All Y'all, that the Spirit is given. You really might like to read the document, Dei Verbum (18 November 1965). But I've got the important passage below. I've added emphasis. 8. And so the apostolic preaching, which is expressed in a special way in the inspired books, was to be preserved by an unending succession of preachers until the end of time. Therefore the Apostles, handing on what they themselves had received, warn the faithful to hold fast to the traditions which they have learned either by word of mouth or by letter (see 2 Thess. 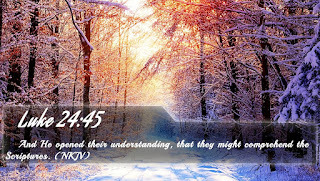 2:15), and to fight in defense of the faith handed on once and for all (see Jude 1:3) Now what was handed on by the Apostles includes everything which contributes toward the holiness of life and increase in faith of the peoples of God; and so the Church, in her teaching, life and worship, perpetuates and hands on to all generations all that she herself is, all that she believes. It is to this that I assented when I entered the Roman Catholic Church a year ago: I believe and profess all that the holy Catholic Church believes, teaches, and proclaims to be revealed by God. If this is not so, why would I bother? The idea that I can still make it up as I go along haunts me though. I've read the Bible. I know what that passage really means. I can do what I feel is right here. I've been doing things my way for so long (even in the Orthodox Church) that I want to do more of the same now. One Orthodox publisher asked me over pizza once why the Catholics didn't buy his books. Well, because your stuff isn't approved. But that didn't dawn on him because most of the clergy he knew didn't function that way. Closing with one more passage from Dei Verbum: It is clear, therefore, that sacred tradition, Sacred Scripture and the teaching authority of the Church, in accord with God's most wise design, are so linked and joined together that one cannot stand without the others, and that all together and each in its own way under the action of the one Holy Spirit contribute effectively to the salvation of souls. One cannot stand without the others. There needs to be a 12 Step Program for Sola Scripturas.